Hey there! Today we are sharing with you an incredible find of ours in Manchester. 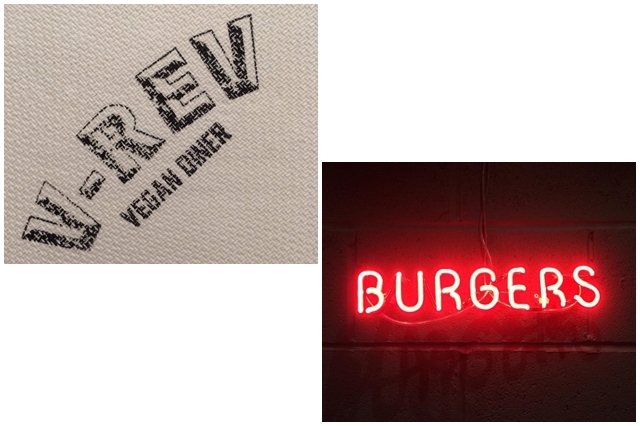 This amazing place called V-Rev Diner is a vegan diner and serves VEGAN JUNK FOOD. Yes, we just put 'junk food' and 'vegan' in the same sentence AND no, vegans do not only eat salad (this cliché seriously . . .